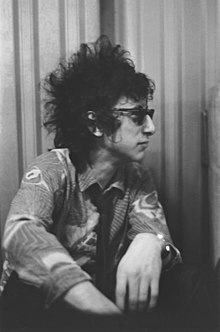 John Cooper Clarke (born 25 January 1949) is a British performance poet from Salford, Lancashire. He is considered a major figure in punk poetry and punk literature. You can count on him. He'll always let you down. 23rd :Snap, Crackle and Bop (1980). "Do not go mental, and with that, goodnight." This page was last edited on 6 December 2017, at 13:02.